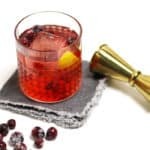 The Sparkling Cranberry Vanilla Old-Fashioned is a stunning, sweeter, seasonal take on the classic whiskey cocktail. 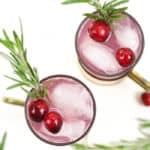 Serve up one of these drinks — garnished with sugared cranberries, of course — to your Thanksgiving, Christmas and New Year’s guests for a festive addition to any holiday party. Okay, so Thanksgiving is one week away. My goodness. How did that even happen? Is it just me or has fall has seemed particularly busier this year than past ones? Do you have your Thanksgiving menu planned yet? I’m spending it away from home this year, and I’m looking forward to relaxing and having some lighter cooking duties for once. 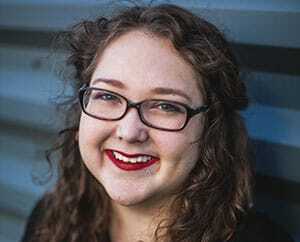 I love Thanksgiving so much, but this woman needs a break! So what does a busy woman make for Thanksgiving when she’s away from home? Mini Cranberry Apple Casseroles. That’s a given. These are easy to throw together. All you need is a cutting board and a mixing bowl or two, plus some ramekins to hold the casseroles. I’ll probably upgrade to a full-sized casserole dish this year, though! Easier for transport! Cocktails, cocktails, cocktails. My friends and family can always count on me to bring the booze at the holidays. I’m just fun like that. 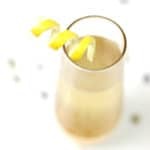 I might be making these Apple Pie Chai Cocktails from last year’s Bright Blog Bash. I was thinking about them this morning and they were such a big hit! And more cocktails! 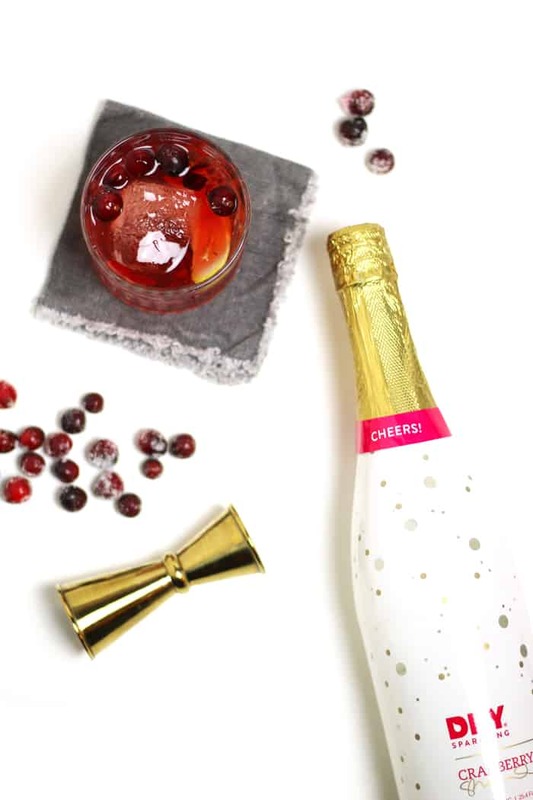 I made this Sparkling Cranberry Vanilla Old-Fashioned recently and I know you’re going to love it, too! 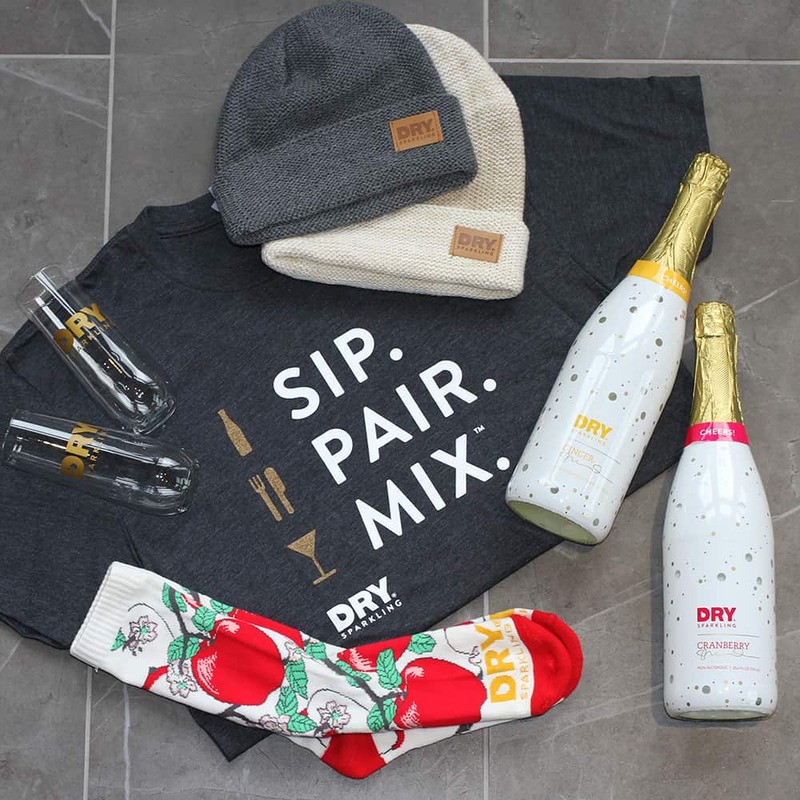 Recently I was invited to try out some new flavors of DRY Sparkling for the holidays. The new Cranberry and Ginger flavors are so much fun for the holidays! 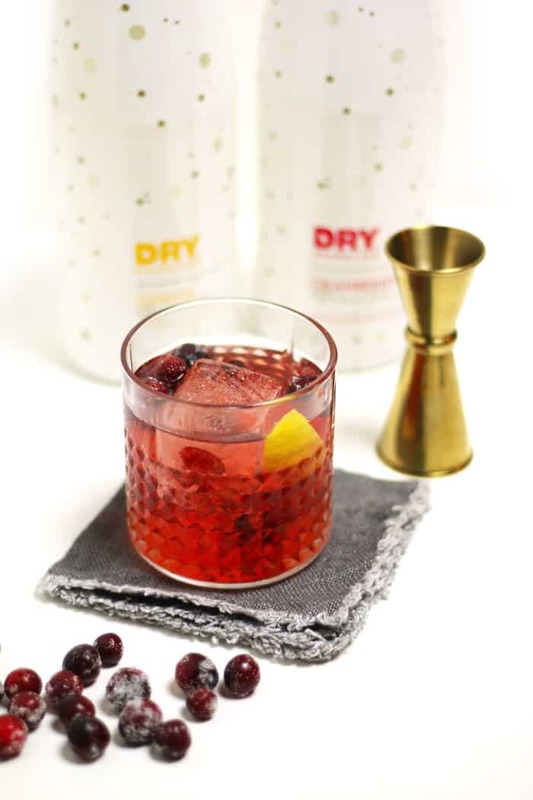 I used the Cranberry DRY Sparkling to make a Sparkling Cranberry Vanilla Old-Fashioned. Okay, sure, it’s not the most traditional of old-fashioned cocktails. It’s sweet and sparkling. But it is a great way to get your feet wet in drinking whiskey cocktails. And, it sure looks festive! 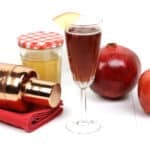 Check out some other DRY Sparkling recipes using their new Cranberry and Ginger flavors! 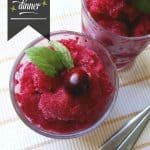 Visit Amber’s blog Loves Food, Loves to Eat on 11/17 for the full round-up of #HolidayPairingParty recipes. The giveaway is open until Friday, Nov. 25, 2016 at 11:59 a.m. EST. One winner will be chosen at random and e-mailed within 48 hours. Winners must claim prize within 48 hours of initial contact or another winner will be selected. Prizes listed above are the only ones available. Open to U.S. residents with a valid shipping address only. Must be 18 years of age as of Nov. 17, 2016. Make the sugared cranberries. In a medium saucepan over medium heat, combine 1/2 cup sugar and 1/2 cup water. Stir until sugar has dissolved, about 2-3 minutes. Stir in cranberries to thoroughly coat. Use a slotted spoon to transfer to a wire rack; allow to cool and dry for 1 hour. In a mixing bowl, stir together 1 cup sugar and cranberries until well-coated. 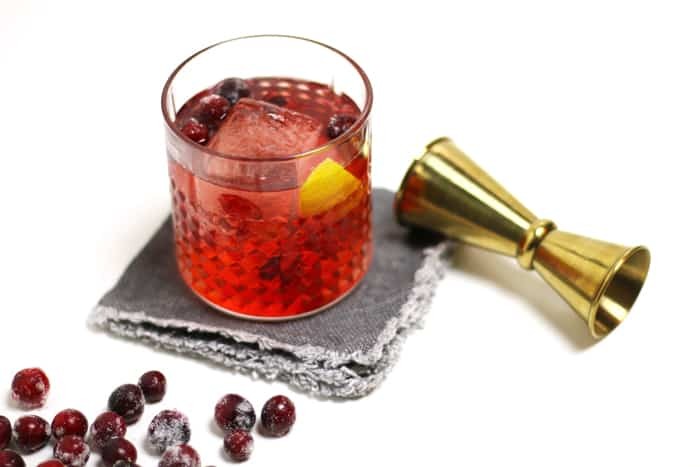 In a rocks glass, muddle sugared cranberries, lemon zest and bitters. Top with ice and top with whiskey, cranberry juice and Cranberry DRY Sparkling. 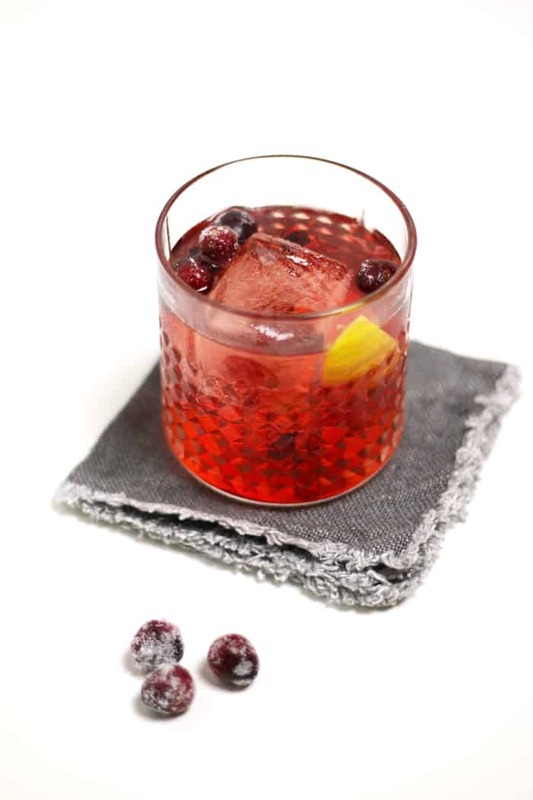 Serve with candied cranberries for garnish.